Students carefully read this blog you got every answer for your question only here. Last month is remaining for CSIR NET online exam in Pune. So you have to study very hard for achieving the success in the exam. If you are starting your study from start then follow Csir net previous year question paper in Pune and sample paper then you know what the questions are? & how you have to study? If you study for 5-6 hours daily from this moment also then you can get a good score. While doing study mark important points & make separates notes for that and continuously read that notes. While doing study your main focus is only on the study, not any other things. If you have any doubt regarding any point then concern with Mc Square Education. Always refer standard reference book. Avoid social media like WhatsApp, Facebook. If you are very close to that then use it only for 10 minutes after every 2 hours. If you have any hobbies then do it continue but in short time. You don’t disturb your schedule but set your mind towards the exam. Students your future is in your hand. For keeping your mood fresh at the time of study do some yoga or any exercise. Always motivate yourself. Be confident but not an over confident. Take care of your health in exam period. The most important thing is that avoid junk food. Always eat fresh food, fruits, and vegetables and keep your mood always fresh. Then only you can do the study. 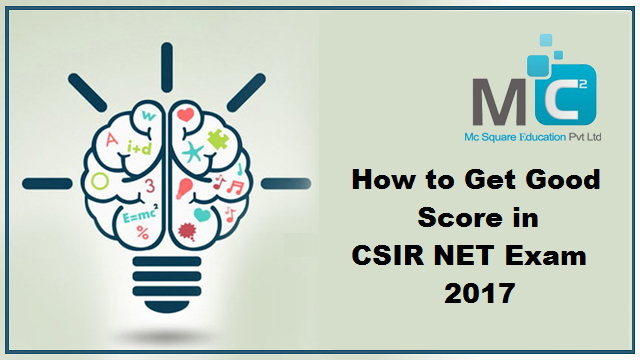 If you follow all these simple and important tips then you can easily crack the CSIR NET exam 2017. Thanks and All the best students!! !